Some are hypebeasts. Most are just skipping school. 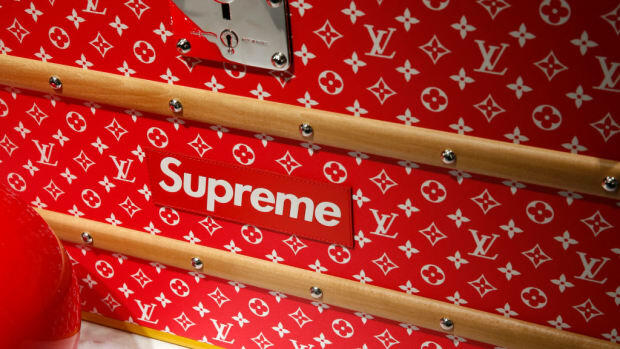 At 11 a.m. on Thursday mornings, the line at Supreme on Lafayette Street in SoHo is never not long. But it&apos;s been attracting more attention as of late thanks to a string of incidents involving queues and sneakerheads. In early April, the police had to break up a riot when Supreme dropped its latest Nike collaboration. And just last weekend, there was a shooting at a Foot Locker in Bushwick after someone cut the line for a pair of Nike "Yeezy" sneakers. But while Supreme is a guy&apos;s brand first, I&apos;ve known of girls who are interested in it, too. A friend more familiar with this world said there should be some girl collectors in this particular crowd. I scanned the first section of the line -- made up of the diehards who camp out for hours, and sometimes days -- without spotting one female. But when I turned the corner, the makeup was different. In the tangle of boys, there were a few women, too. Moving on, I met Milana, a 21-year-old sneaker collector who works at premium sneaker store Ubiq in Philadelphia. She&apos;s not a big Supreme collector herself, but her friends are, so she drove up to buy them t-shirts. "I had the time to do it. And it&apos;s a trip to New York," she said. Plus, she only expected to have to to wait in line for a couple more hours. In the past, she&apos;s done three nights of waiting to add to her sneaker collection. ("I&apos;m getting rid of some, but right now I have about 85 pairs," she said. That&apos;s not too bad, right? "No, but when you look at it all in one spot, then it looks crazy.") Milana -- whose last big purchase was a pair of Jordan 1 Barons on April 5 -- said most of her friends who collect are guys, although there are some good groups for "girl sneakerheads" on Facebook. "Not many [women] are willing to camp. I know people who have done it two or three times, but then they&apos;re not really that interested." Further up the queue was Yuqi, a 24-year-old college student from China who brought a lawn chair to keep comfortable. Although she&apos;s been collecting for five years, this was her first in-person drop. In the past, she&apos;s only bought pieces from Supreme -- and BAPE, one of her other favorite brands -- online. She&apos;d been waiting since 6 a.m. "I really want the Box Logo tee, but I&apos;m not sure if I will get it," she said. "If there is any one -- any size, any color left -- I would buy it." 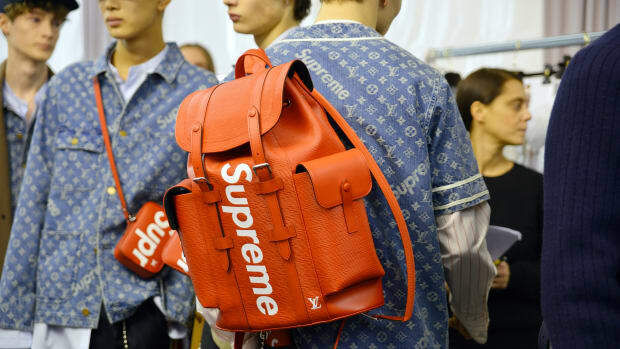 Finally, I spoke with Michelle, a 15-year-old who was skipping school for a good cause --that is, to make sure her boyfriend could get as many Supreme pieces as possible. 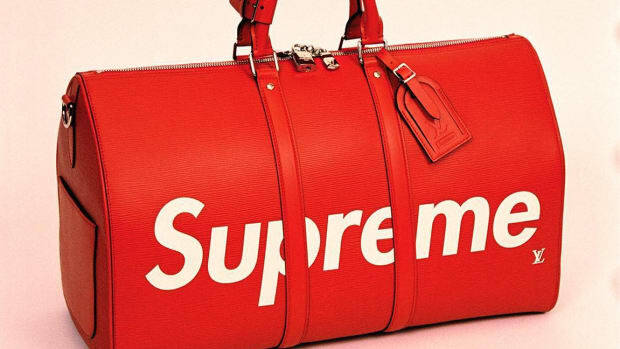 (Much like an H&M designer collaboration, Supreme limits the number of items one person can buy.) She doesn&apos;t think she&apos;d come back, though. "It&apos;s tiring," she said. "I don&apos;t really care for it. Some people hype it up a little too much. It&apos;s not fun until you get inside." A candid interview with Teen Vogue's style features director, who is as funny and real as he is cool and connected.